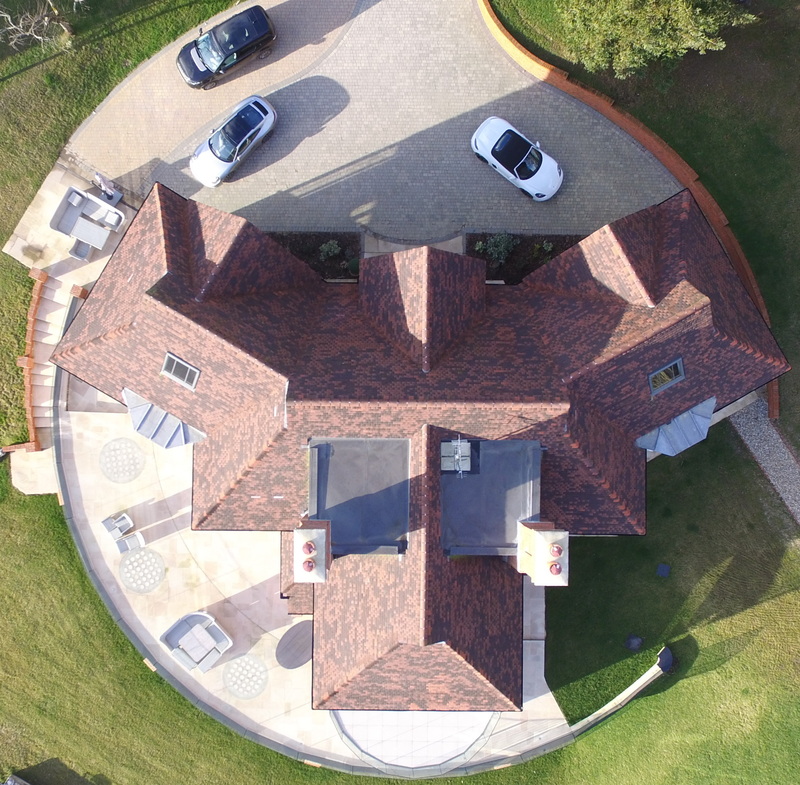 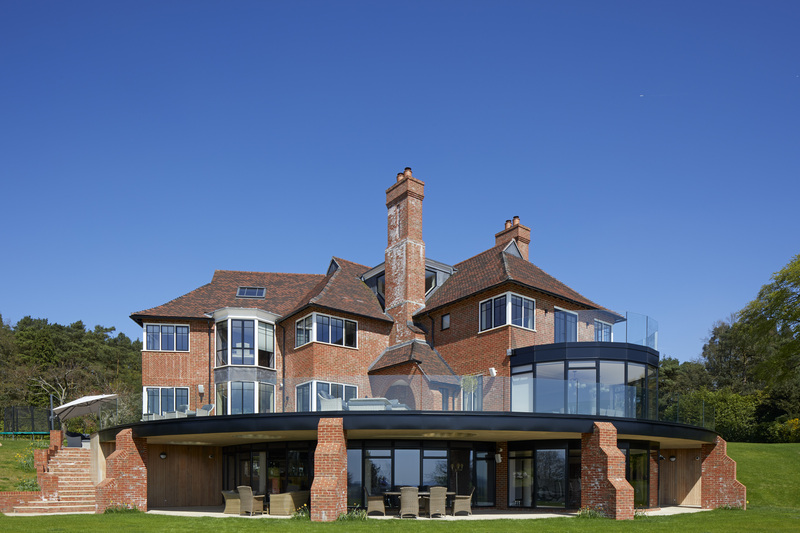 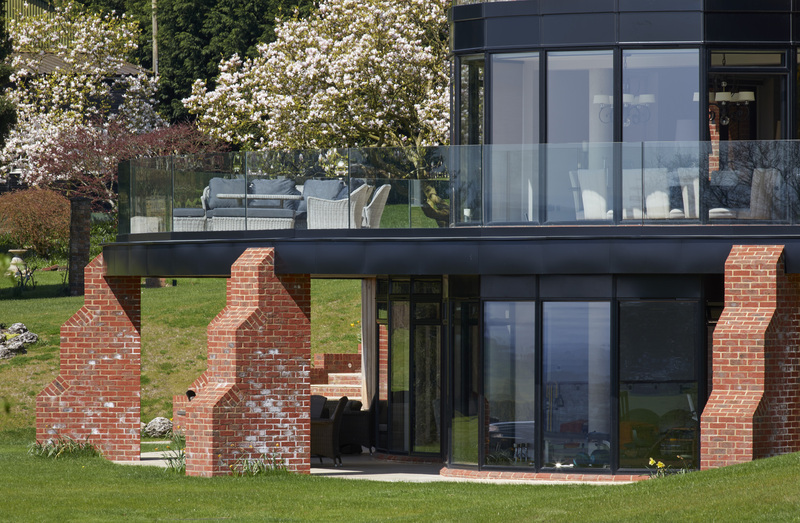 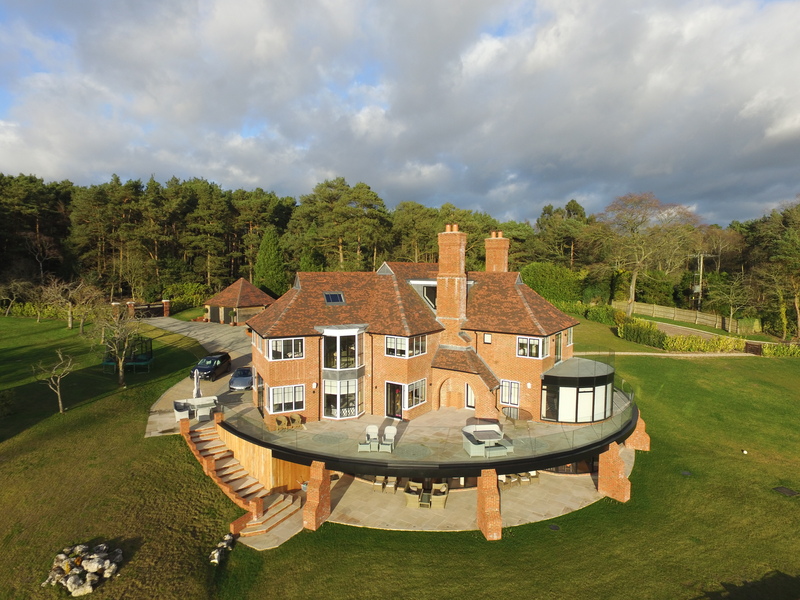 "an eclectic blend of modern construction and traditional detailing"
We have recently completed this new country house on a stunning site overlooking Farnham. 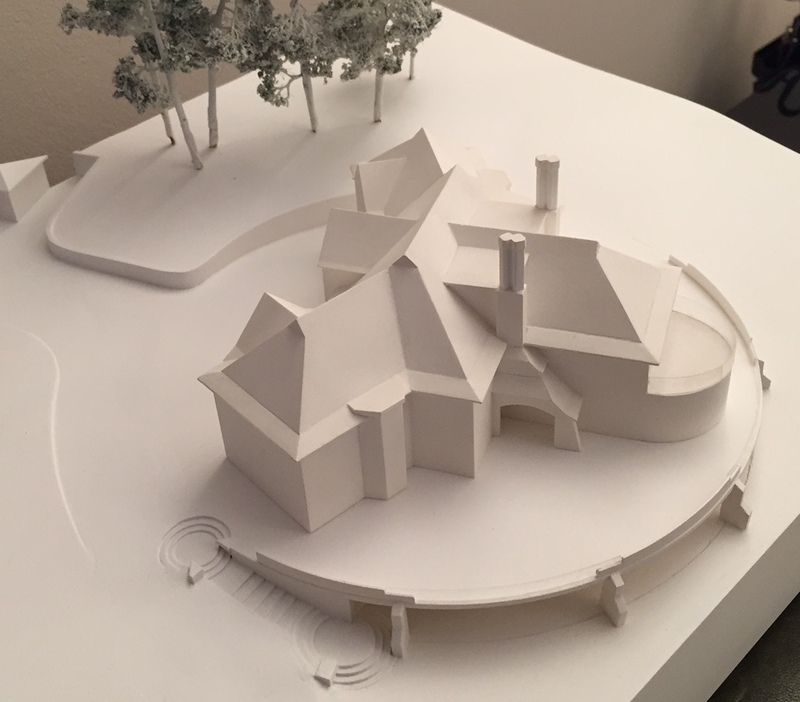 The sloping site presented a number of challenges which we overcame by building a circular terrace, with a traditional house over a contemporary basement. 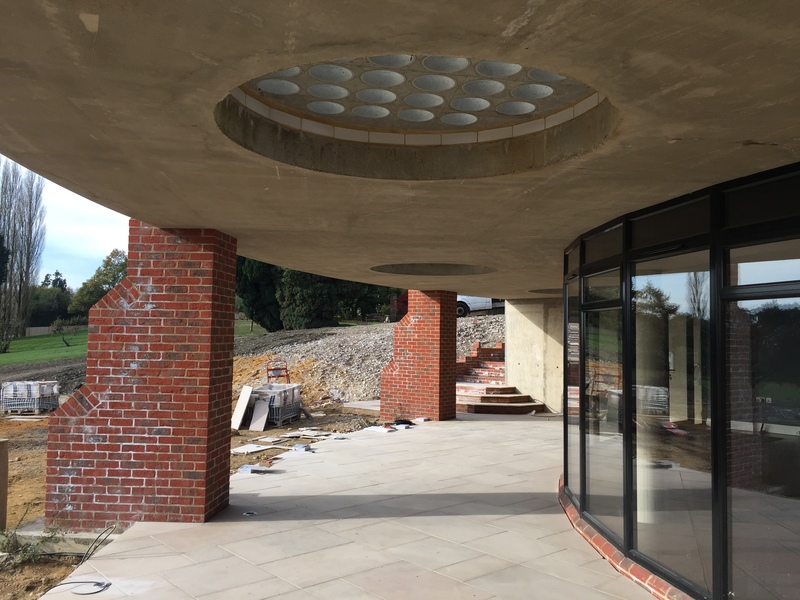 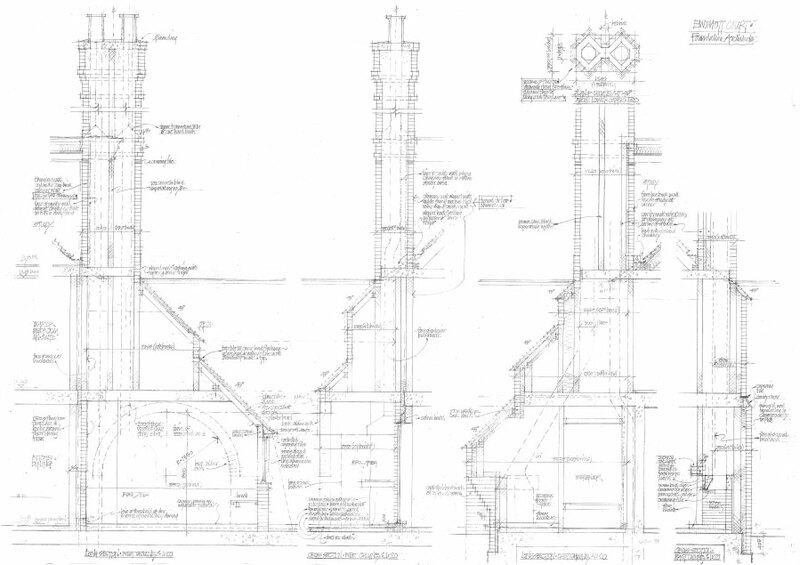 Each wing of the butterfly plan is triple aspect, creating nine different views from around the house.